FTD Consulting has been offered to sell a used Alsim AL200 MCC (refurbished). The simulator has been used in pilot training , will now be refurbished and then be sold at an attractive price. The device can be qualified as FNPTII MCC according to JAR-FSTD A.
FTD Consulting has started a cooperation with a financial services company to enable you to have different financing options for your operation. The offers are targeted at european community FTOs/ TRTOs & FTSD-Operators. Together we will help you finding the right financing option for your flight simulator or aircraft. If you have any interest, please don´t hesitate to contact. Nowadays, “Flight Simulation Training Devices” or simply called “Flight Simulators” are a not-to-neglect training option within flight training and education in the commercial aviation business. Normal and abnormal procedures of flight operation can be trained without putting the crew and aircraft at risk. Particular training scenarios can be trained over and over again without timeloss due to quick-repositioning functions and computer controlled attitude presets as well as not being distracted by radio communication, traffic or other sources during daily flight operation. A simulator can be used 24/7 and is weather independent as it is a facilitated training device. Your training can be conducted cost-efficiently. FTDs save aircraft fuel and maintenance hours and run cheaply on electricity. If you have ordered an aircraft of a particular type and have FTDs already in place, the “aircraft” can be flown and trained on before even the first real aircraft is delivered! Training Devices of lower levels such as FTDs Level 5 and 6 can be purchased at very low prices compared to Full Flight Simulators, whereas their level of technology and flight modelling already can be very close to each other. Last but not least, lower occupation of airspace and slots for training on real aircraft as well as saving fuel, thus reducing CO2 and pollution are further benefits, which support FTDs as the training method for the future. Because of the low maintenance and operating costs of such devices in comparison with any aircraft, FSTDs are the perfect addition to your flight training. As the need for well-trained pilots will increase over the next decades, flight training becomes more and more important. The record-breaking innovations in the simulation technology, simulators are definitely the future! Quality Systems (QS) are often considered a burden to daily Flight School- & FSTD – operation. Even more so, because a Quality System is now mandatory for getting your FTO/ TRTO approval as well as your FSTD qualification. Unfortunately, the brighter, beneficial side of introducing a Quality System is often neglected. Ensure that your FTO/ TRTO & related aircraft & FSTDs are maintained to the highest standards. Ensure that the system can be tailored to the FTO/ TRTO/ FSTD-Operators needs. That all QS system related knowledge and documentation is accessible to all staff members, ergo every employee has the same knowledge base. Information is quickly accessible, even in emergency situations. According JAA-regulations, an extension of the evaluation periods of up to 36 months can be granted if a QS is implemented among other minor requirements. This will save you money and time! The introduction of a Quality System rises the annual revenues by 10% in average! For the new tv commercial of Swoodoo, the agency & production company NEVEREST GmbH & Co. KG, has asked FTDC, to give advice on aviation and flight simulation. 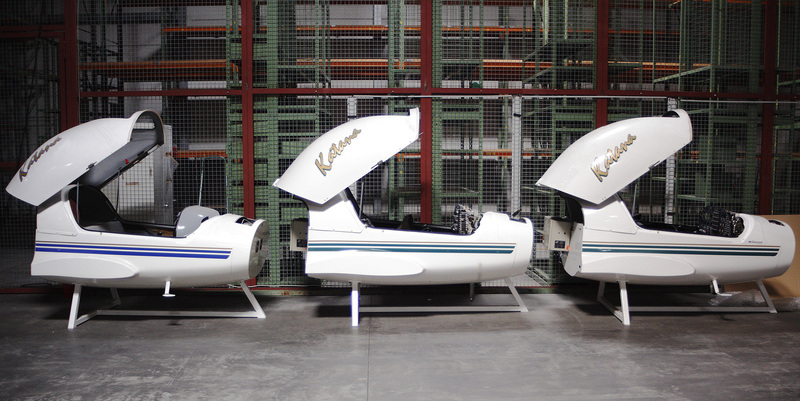 June 2011 – For the inauguration of their MCC training, the italian FTO Urbe, in close cooperation with Diamond Aircraft Italy, has purchased a FNPT II MCC of Mechtronix Systems, Canada. To check the device under technical and regulatory aspects the FTDC had been asked by Diamond Aero, Italy to take part at the so-called IPA – In Plant Acceptance of Mechtronix. Within one week, all functions and systems of the generic Jet Simulator XJ had been checked and rectified. FTDC sells 7 DA 20 Katana Cockpitshells/ Simulators that were provided by Diamond Simulation GmbH & Co.KG. The shells are to be delivered to a customer in Belgium. FTDC will be at the AERO Friedrichshafen, Germany opening doors from 13.4.2011 to 16.4.2011. We are not exhibiting, but we will use the opportunity to meet up with our partner Jet Scout, as well as many other colleagues and friends. Among them are the main flight simulator manufacturers Diamond Simulation, Alsim, Mechtronix & Frasca, who might have interesting projects to offer. If you are interested to meet us, please contact us in order to make an appointment and meet us at the AERO. 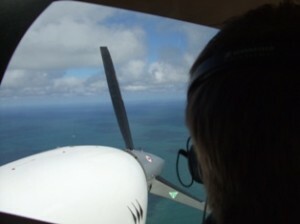 Hamilton/ New Zealand – At the Hamilton Int´l Airport on the North Island we simulated an engine failure with a Diamond Aircraft DA42 in a controlled environment. Hereby it was possible to not only study the effect on the aircraft itself, but also to find out about the effects on the flight controls. Problems of flight simulator manufacturers, especially those of lower qualification levels, is to try to replicate the aircrafts handling characteristics very accurately via adding a force feed-back system with the actual flight dynamics and forces as to be found in the real aircraft. Mostly, at lower qualification levels, manufacturers are not always able to replicate these forces to the customers satisfaction, because of lack of expertise or budegtary reasons, i.e. having a state-of-the-art Force Feed-back System/ Control Loading System bereit zu stellen. The FTO Nord GmbH, signs contract with FTD Consulting for a FSTD Procedures Manual for their Flight Navigation & Procedures Trainer (FNPT). This is mandatory as the auditors of the german CAA started to examin flight schools quality systems according to european regulations JAR-FSTD A.025 Quality System in particular. FTD Consulting was invited to try out a professional Level D Flightsimulator with motion platform during a flight training device installation in Switzerland. Motionplatforms are only representative concering motion cues, but they have a tremendous impact on the handling and impressions during training. The sensation with active motion is influenced by both the eyes and the equilibrium organs in our ears with 50 % each. Many professional pilots tend to disconnect motion platforms during training as they say it is not the “real-deal” . MFA – Munich Flight Academy has signed a contract with FTD Consulting in order to have their quality system documentation updated with a FSTD Procedures Manual. The aircraft sales platform Aircraft Scout has opened a new category for Flight Simulators in cooperation with FTD Consulting. Via www.jet-scout.com/simulator.html new and used devices can be listed with detailed descriptions and images. FTDC currently offers a broad spectrum of devices on this aircraft platform, ranging from FNPT I up to Full Flight Simulators of the qualification levels C & D.
FTDC has been asked to consult & help with the development and qualification of a A320 simulator. The device should be qualified as FNPTII MCC according JAR-FSTD A. Aside from the general technical requirements for professional simulators, the main pre-condition for a MCC simulator is the layout and design of the simulated aircraft. Only Turboprop- and Jet-multi-engine configurations are possible for MCC. If you have a generic device, aside from the latter, there should be a overhead panel, pressure cabin, fire-extinguishing system, instrumentation and more. The Südwestdeutsche Verkehrsfliegerschule FFH Aviation Training has reworked their quality system as well as relevant documentation with the expertise of FTD Consulting. FTD Consulting signs contract with TACS GmbH for a FSTD Quality System with FSTD Procedures according to JAR-FSTD A.025. The TACS offers FunFlights on their professional Flight Training Device and cooperates with the flight school Bavaria Aviation GmbH, using TACS simulator for professional pilot training. 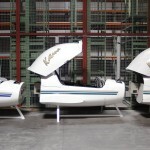 Looking for used Flight Simulators and parts ? FTD Consulting offers also used flight simulators and parts. At the moment we have used Diamond Aircraft DA20 Katanas for sale. This could be an opprotunity for you to have a fully functioning flight training device at a competitive price. 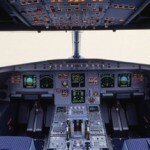 The Pilottraining Network GmbH – the former Intercockpit, signs contract with FTD Consulting for a FSTD Procedures Manual for their Flight Navigation & Procedures Trainer (FNPT). This is mandatory as the auditors of the german CAA started to examin flight schools quality systems according to european regulations JAR-FSTD A.025 Quality System in particular. Hence, operating an FSTD will be difficult in the future without implemented and complete quality system. This includes also the procedures, especially for Flight Simulators, comprising maintenance, qualification and configuration control management. For this purpose the PTN has asked FTDC to issue a Procedures Manual containing particular flight simulation oriented procedures for their FNPTII. 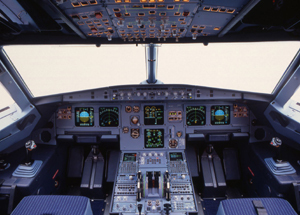 Are you planning to enhance your FTO/ TRTO with a Flight Simulator or Aviation Quality System? Are you overwhelmed by the manifold technical options, pricing and regulatory affairs for so-called Flight Simulation Training Devices (FSTDs) & Aviation Quality Systems? Not sure how much a FSTD or Aviation Quality System can add to your business money- and training-wise? Do you want to be prepared in order to prevent your FTO/ TRTO or business running into any unexpected problems, and thus save valuable time & money? With our experience we can provide you with valuable information and help you in your decision making process.